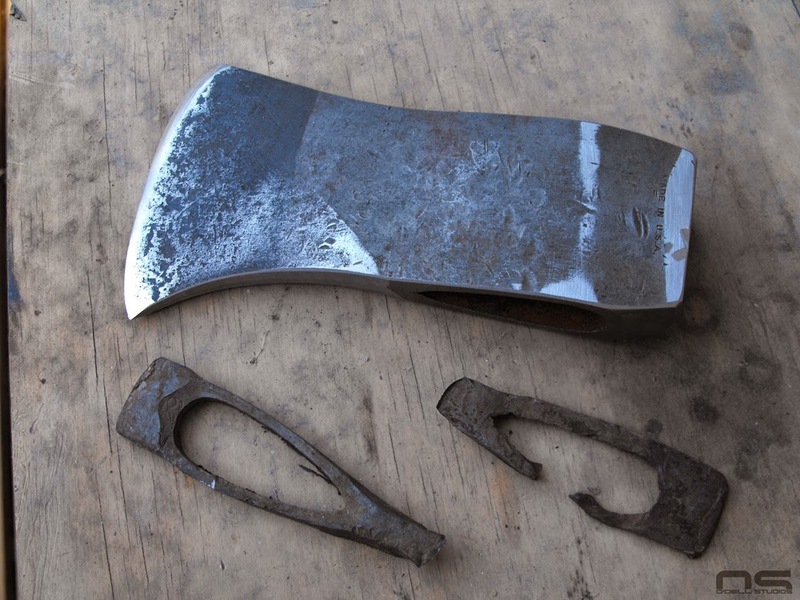 Much as I like the idea of saving old axes from an ill fated existence, there isn't much that can be done with one that's been mistreated to the point of being damaged. 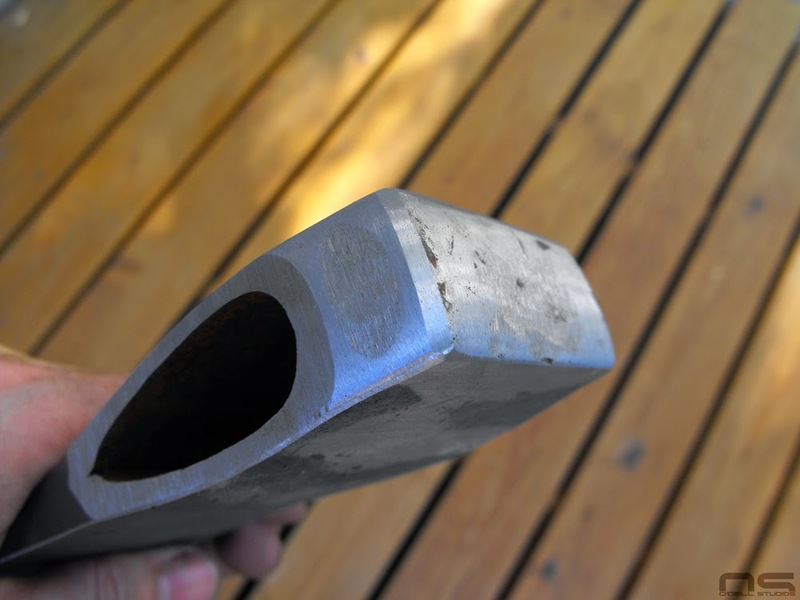 I think it's fair to avoid those abused choppers out there as a prudent measure of caution - a notion at the front of my mind when large pieces of sharpened steel moving with great force are involved. Each of us assigns value to items in different ways and perhaps some things, despite a rough exterior or unpleasant history, may be worth a little more consideration if they are of greater perceived value to us. This Keen Kutter fit this description for me. 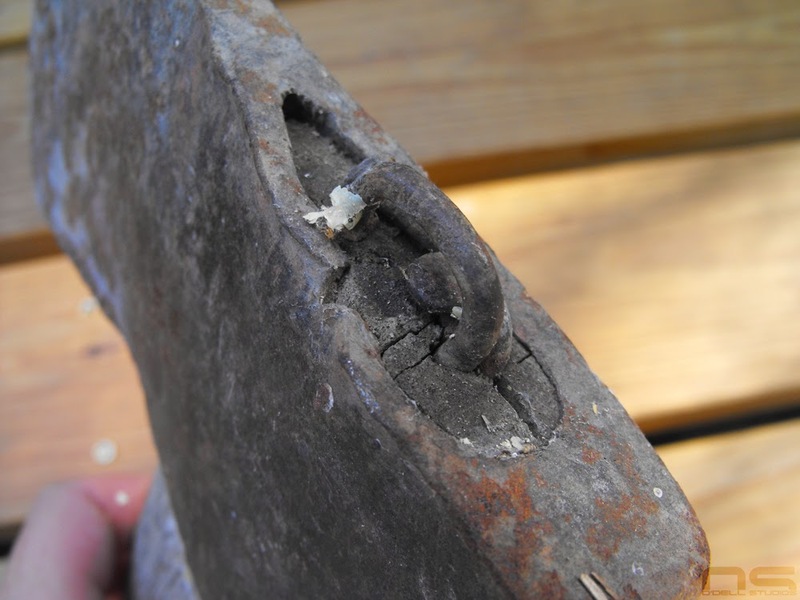 It would require surgery, but botching the procedure was worth the risk when the axe, in received condition, couldn't be used. 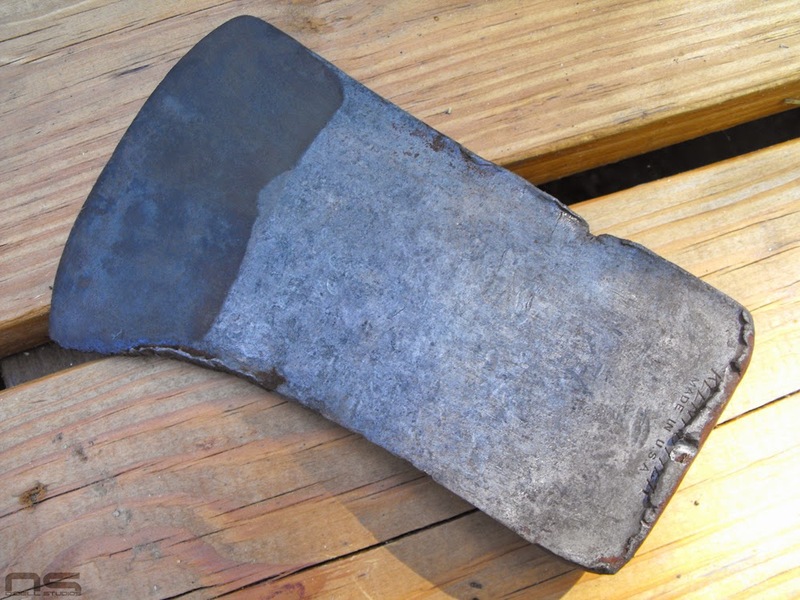 It was a well made tool in its day, unappreciated by owner, abused, then left for dead. In good condition it would have been too valuable to cut into pieces, but in present condition, unusable without cutting. 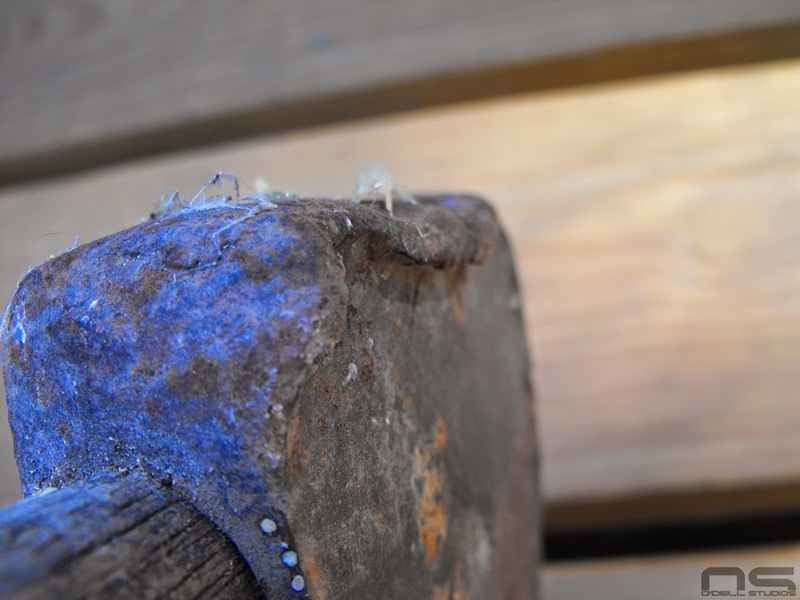 Ironically, from an edged tool's perspective, every edge but the cutting edge had been used to accomplish some task, leaving damage on virtually every surface it shouldn't have been. 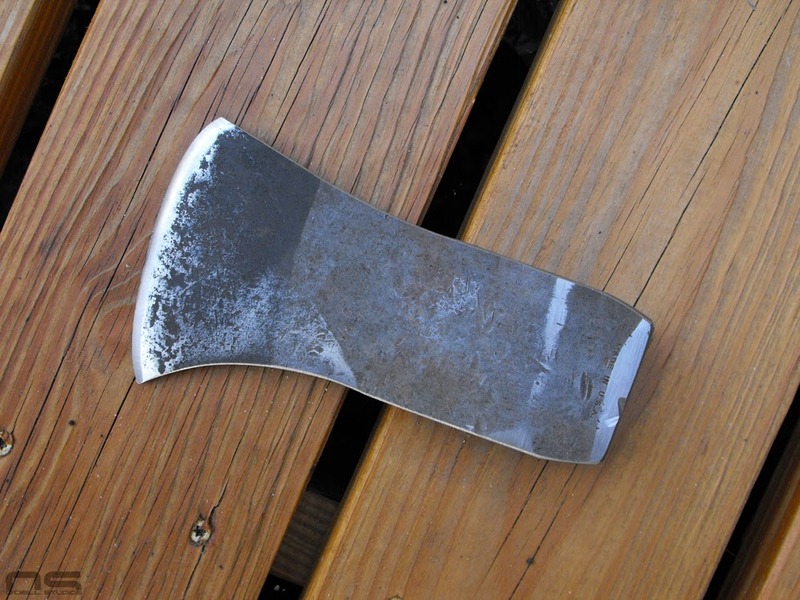 By luck, or fate, I had recently contemplated creating a smaller axe by relieving it from a larger one, but up until this point, I simply didn't have the heart to put steel to steel. I'm not knowledgeable in the art of steel, the science of metallurgy, but I know two things to be fact. One, I don't have a lot of patience for certain things, and two, I know power tools designed to save patience generate a lot of heat. This goes back to that part where botching the surgery was worth the risk. I knew I had to keep it cool, and I knew I'd cut corners if it took too long to get it cut down. 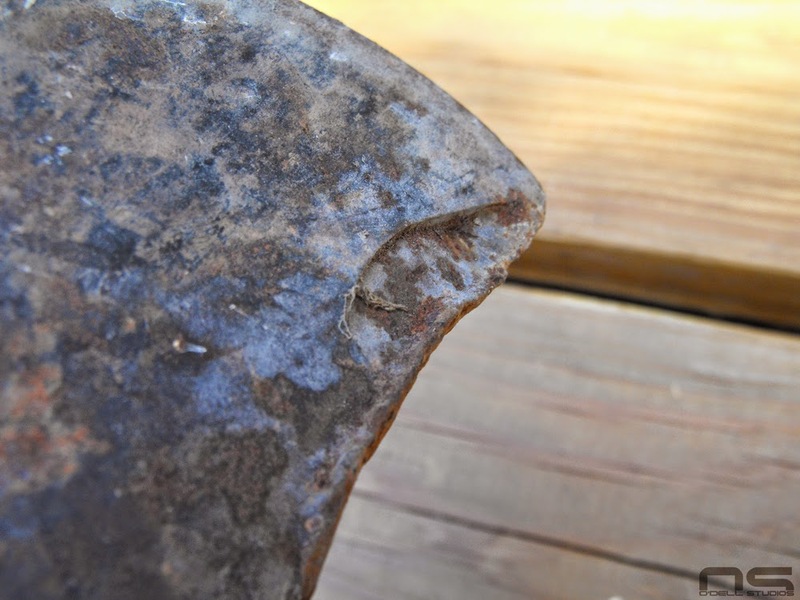 My understanding of axe steel is that the majority of the tool is in an unhardened state, while the bit, the cutting edge, is the area to be particular about. With this in mind I soaked a couple of shop towels in cool water, wrapped the axe in them and clamped them into place as I cut. I have a testing system for heat, it's very sophisticated. There is warm, where you can touch it with your fingers and not get burned. There is hot, like the water that comes out of the hot water heater - it'll scald you. After that is piss-your-pants hot. If you touch it, expect a blister or worse. I figure the steel needs cooling when it gets to scalding water temperatures and it's a good job when it's not too hot to touch. If you touch it and it's so hot you just about piss your pants, you screwed up. First cut made to the bottom. I used a thin cut-off wheel made for steel on my 4.5 inch grinder. It cuts through steel, hardened or not, like butter. 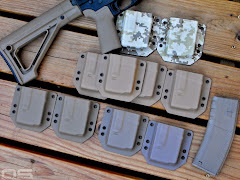 These things laugh in the face of pretty much anything, are cheap, and actually very durable. The whole unit, clamps, rags and axe could all be dunked in a bucket of water from time to time when I felt I was getting to the appropriate range on my special heat test. Regardless of experience or knowledge, the proof as they say, is in the pudding. 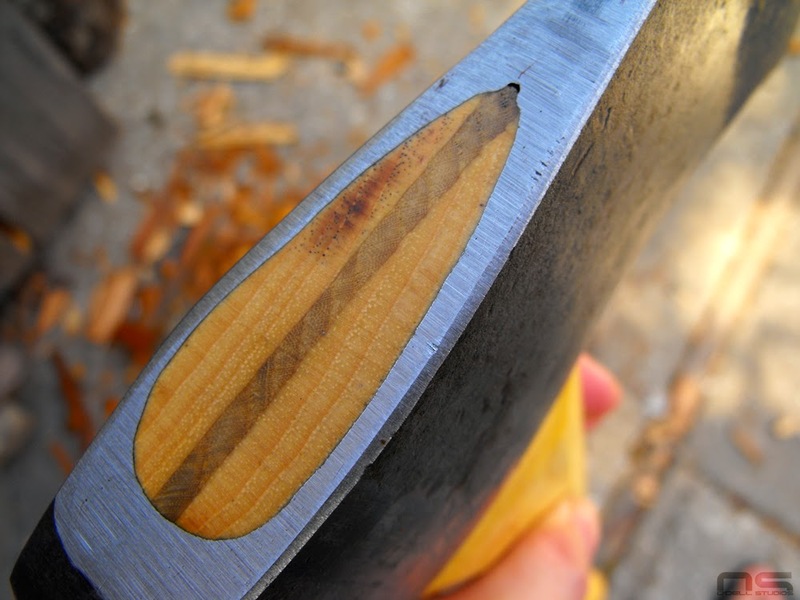 When I finish an axe, I like to split some wood with it, especially Hedge (Osage Orange), just to see if my hang is tight, but in this case, to see if the edge would roll. Cutting hedge is a little bit like cutting concrete, and short of whacking my hard work against the sidewalk, is a good test of the cutting edge. My chopped down Keen Kutter passed the test. 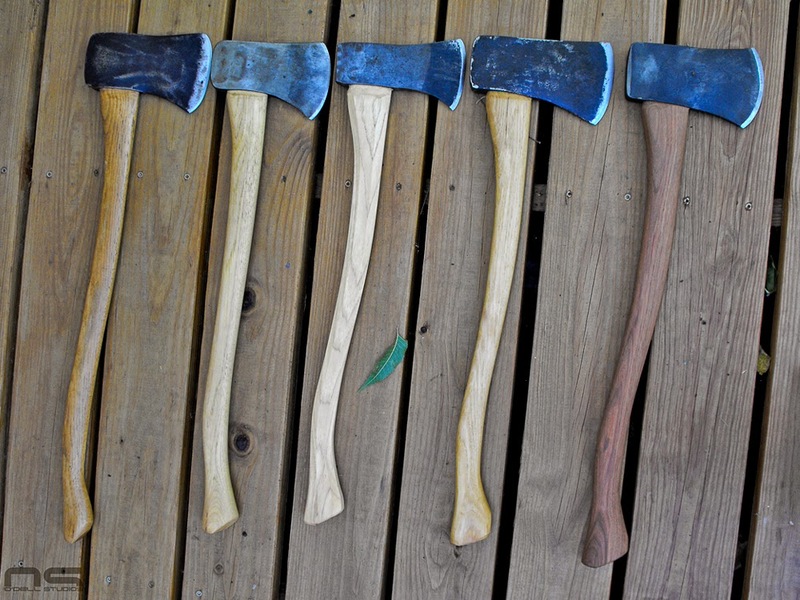 I've been known to tackle hunks of wood with my axes that are best left to a maul or wedge, or chainsaw (let's be honest), but I don't suggest splitting wood with your axe if it's really reluctant to give way. 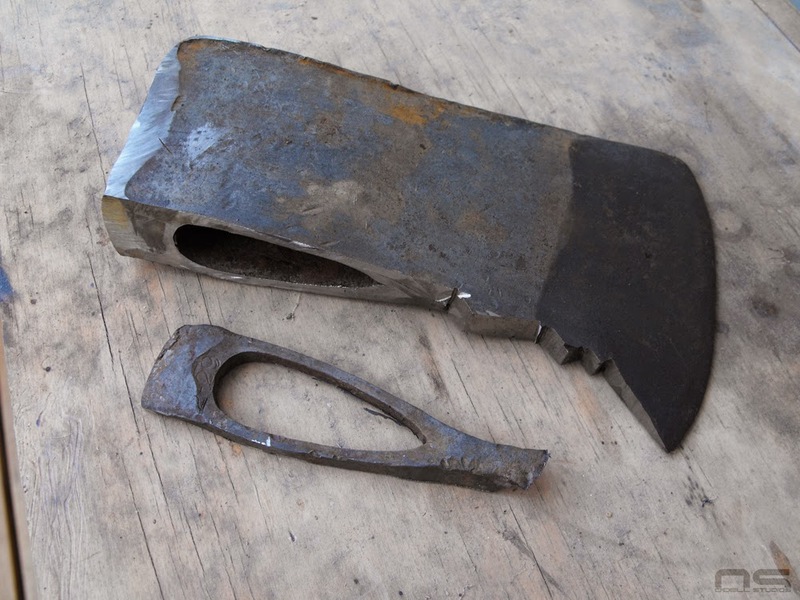 Some people believe that mauls are for splitting wood, axes are for chopping wood, and they are strictly segregated races within the world of cutting implements. Of course that's nonsense. But there is a line. 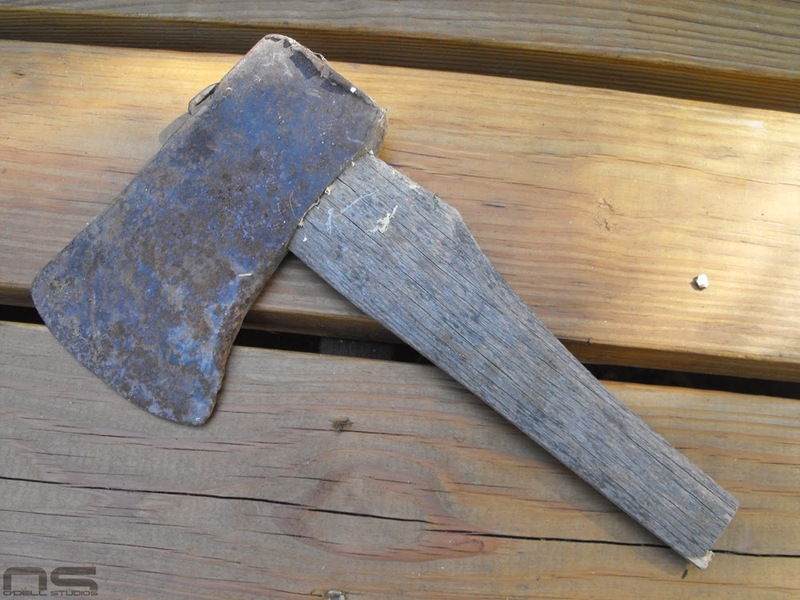 An axe is light and handy and I have a personal preference toward three pounders on 28 inch sticks. 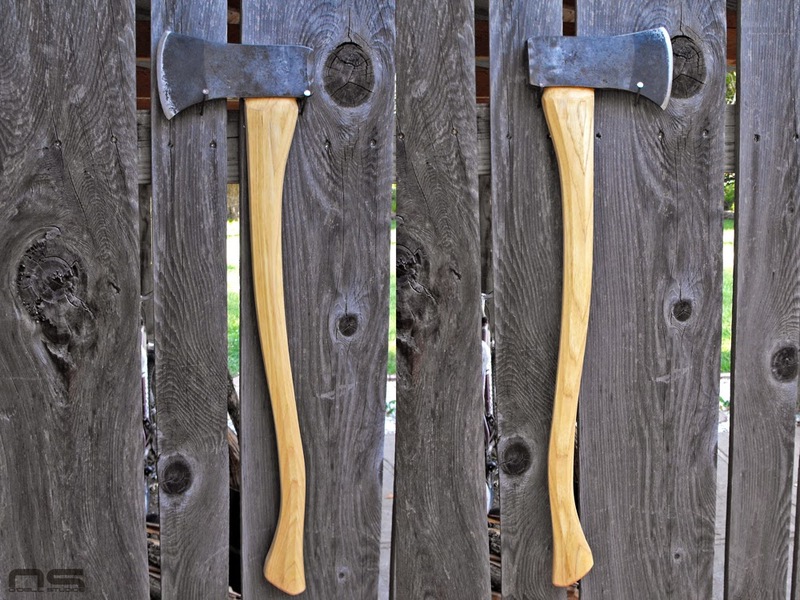 A general purpose profile axe will split like a dream with considerably less effort than a maul, which tends to maul not only wood, but also the user. 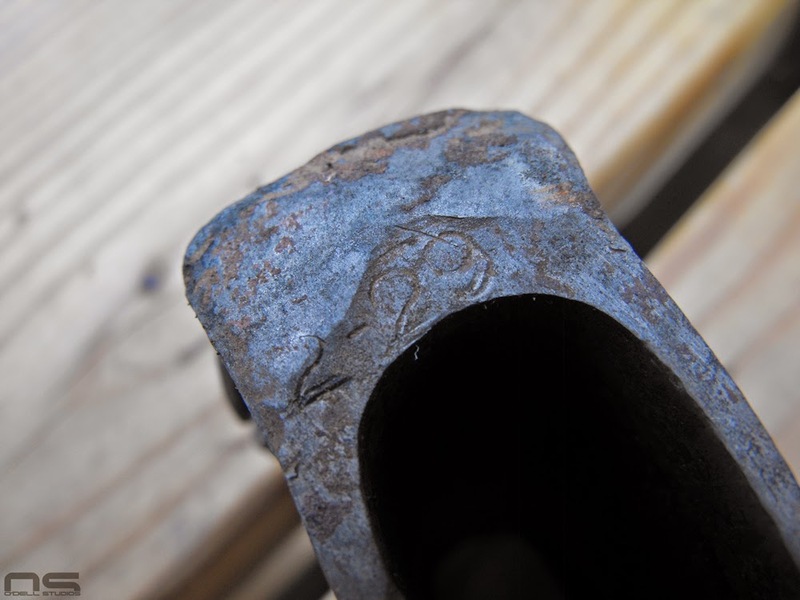 By the same token, there's no sense in busting your handle over a hunk of stubborn timber. The finished product with the rest of the family. This little Keen Kutter is now 2lbs 6oz and with the haft, 3lbs 5oz. 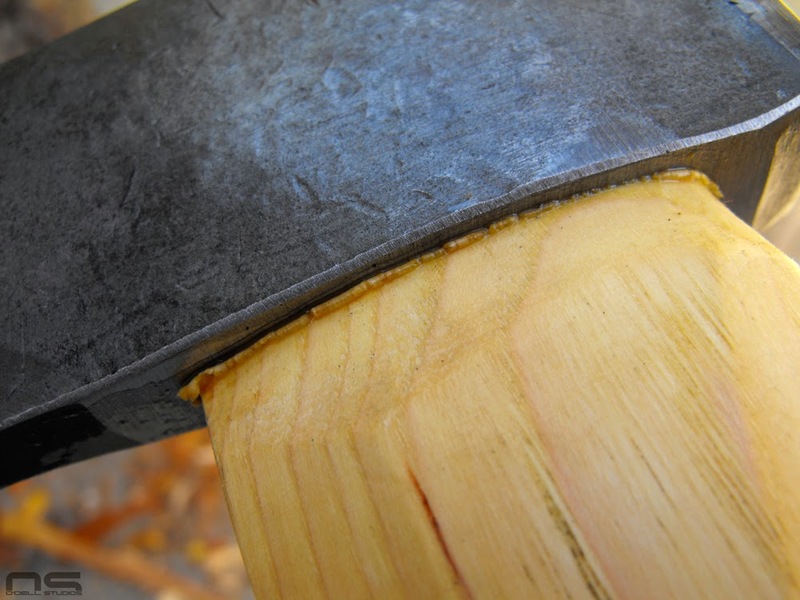 Its splitting limits are different but with the smaller size comes new uses and conveniences in processing kindling or simple brush clearing or even carving. It originally had an octagonal handle and I felt this was a good time to give one a try as I haven't before. 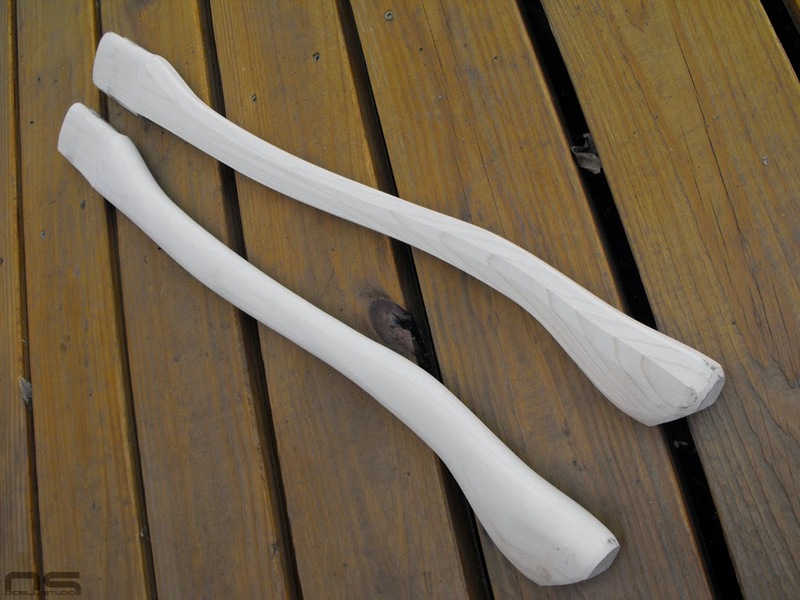 House Handle makes octagonal handles and so I placed my order for one 28 inches long. After some trimming and touch up, it measures just a little over 26 inches finished. 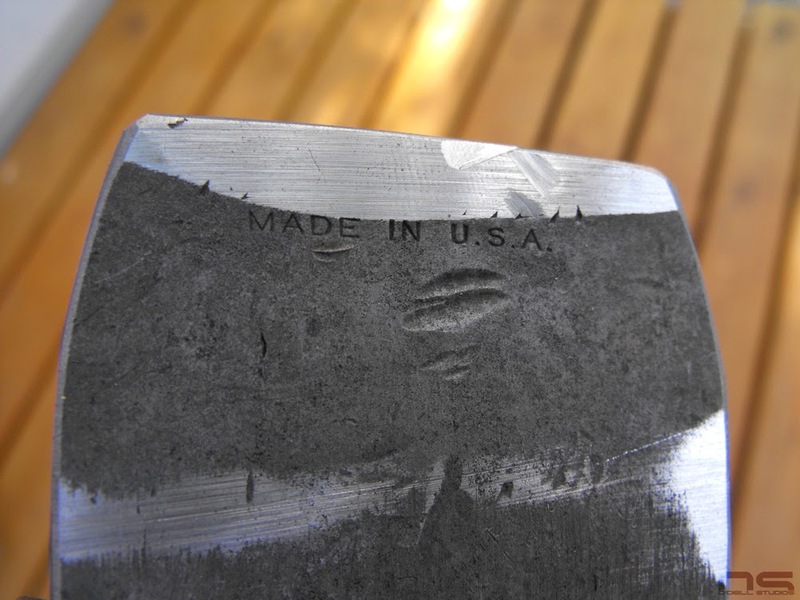 Sadly the Keen Kutter stamp fell victim to the mushroomed poll, but the USA stamp is intact. Some very pronounced mushrooming to the poll here - both sides. 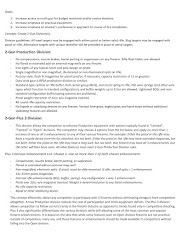 Serious damage toward the bottom or "heel". It just keeps getting better and better. Damage to the eye. 24 hours in vinegar means very little elbow grease needed. 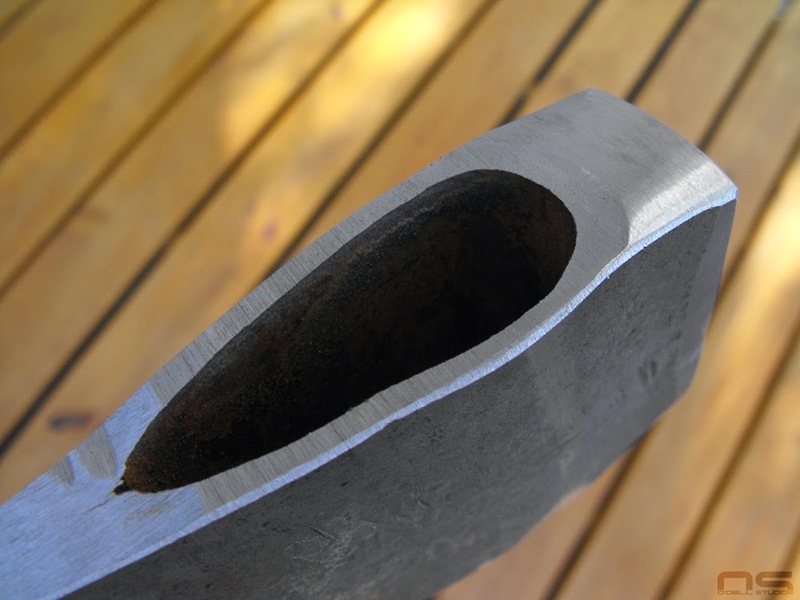 The black bit indicates the hard steel where it was folded over the softer steel in the forging process. The first cut is pictured earlier in the post, but here it is just about finished. 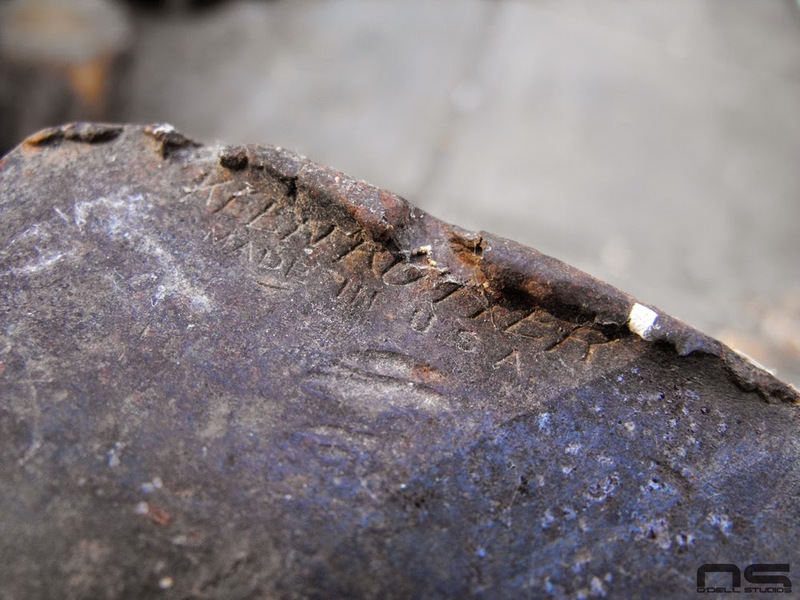 This mark was found on the underside of the poll. Some of the finish work. Still a dent in the eye but now minor. The underside. I ended up taking a bit more material from the top and bottom but this is the more or less finished state. It has a slightly up-swept appearance but nothing serious. Handles that came in that same day. Here she is in all her glory with the octagonal handle. You may be able to notice that I trimmed the swell down some. My best fit to date. A nice little roll of wood all the way around. I know it's tight.